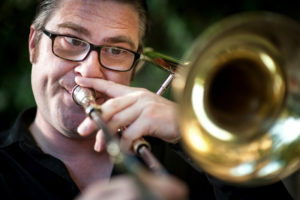 This is a story about how a trombone-playing Englishman found his way to the Mississippi Delta and came to call it his home. That Englishman is called Bob Dowell and in 2008, he found himself on a ship setting out from the port of San Diego. The ship would spend a week at sea, traveling south through the Pacific Ocean into the waters off Mexico with stops in the ports of Cabo San Lucas, Mazaltan, and La Paz before returning home. Also aboard the ship were blues legends like Etta James, Koko Taylor, and Magic Slim. Dowell was playing with blues guitarist Kenny Neal and his band. Other legendary artists such as Dr. John, Los Lobos, Watermelon Slim and Curtis Salgado were also among the shipmates. They were all there as part of the Legendary Blues Cruise, a festival at sea that was on its eleventh voyage in six years. Among the special guests on the cruise, performing in the piano bar, was Greenville native and decorated blues pianist Eden Brent. Dowell and Brent hit it off, and over the years developed a relationship. Eventually, that relationship would blossom into marriage. But that’s not exactly where the story starts. It started in England, in the North London borough of Barnet, where young Bob came home from elementary school one day with a form. 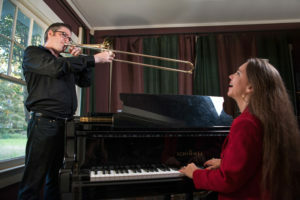 He was to choose an instrument to learn as part of the school’s music curriculum. 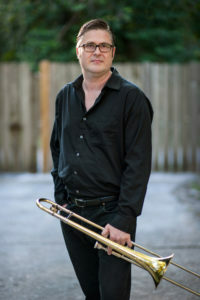 “I chose the trumpet,” Dowell says. “Just because I knew what one was. And I wanted to make some noise.” But the instructors disabused him of that notion on account of the fact that he was tall, and thus had long arms, and thus would be perfect to fill the role of trombone player. 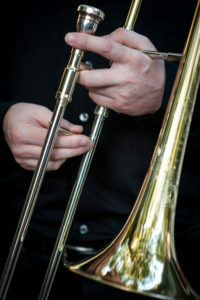 So Dowell took up the trombone, learned to sight-read and soon was playing all around town in brass bands, big bands, and and band he could play with. At home, his father taught him a few songs by strumming the guitar—songs like “Down By The Riverside” and “Won’t You Come Home Bill Bailey.” His father also took him to some jazz concerts in the city. 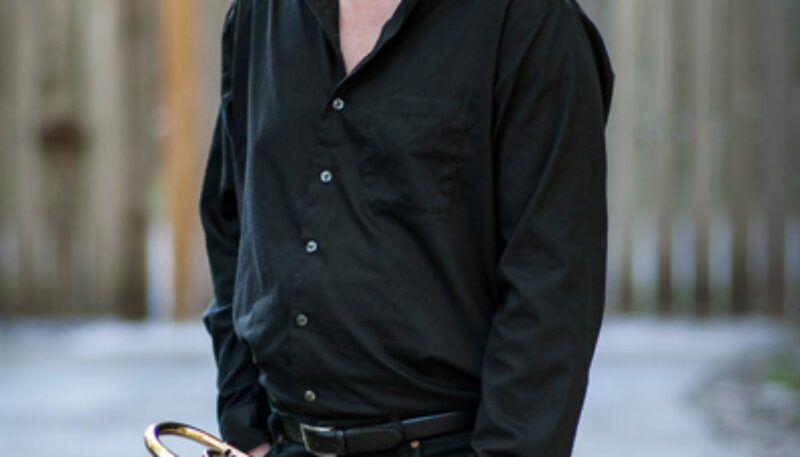 That sorta-skipping PE class to listen to jazz records eventually landed him in the Royal Academy of Music, where he earned a four-year degree in jazz trombone. That, in turn, landed him…jobs. Well, musician jobs. Gigs. There were periods of quiet and periods of gigging. Sometimes he’d spend his last few pounds on breakfast, hoping he got a gig by dinner time. That “clawing out” included a long career of studio session work and live performances with artists from a diverse range of genres including jazz, soul, ska and orchestral music. He performed at the prestigious Glastonbury Festival and the Royal Albert Hall. Then he met Eden Brent. Dowell landed in holy matrimony, and in the Delta, in 2105. It didn’t take long for him to acclimate. Playing along with Brent, he met fellow horn players. He started landing some local gigs, though more so with his bass guitar playing than his trombone playing, at least at first. Even given his varied background Dowell was not particularly steeped in the blues tradition of Mississippi. When he got to Mississippi, Brent helped him find the nexus between the two. Soon he also met up with saxophonist Art Edmaiston (Gamble Brothers Band, Mofo), and producer Niko Lyran. All of a sudden, he had a band, and a studio. 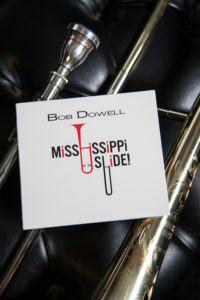 Dowell then went into the studio to record his first solo album, Mississippi Slide, which is a sumptuous six track slice of soul, jazz, and just more than a little bit of blues. Dowell composed all the tracks, but concedes they were mostly blueprints that were written more in the moments of improvisation than on the charts. A highlight is the album closer, “Little Boogaloo,” pays homage to the nickname of his wife Eden. And all of a sudden, Dowell is immersed in the heart of the Delta and the sweat of Memphis soul, all held together by his studied jazz heritage. And it feels like home. And the Englishman has found his home.